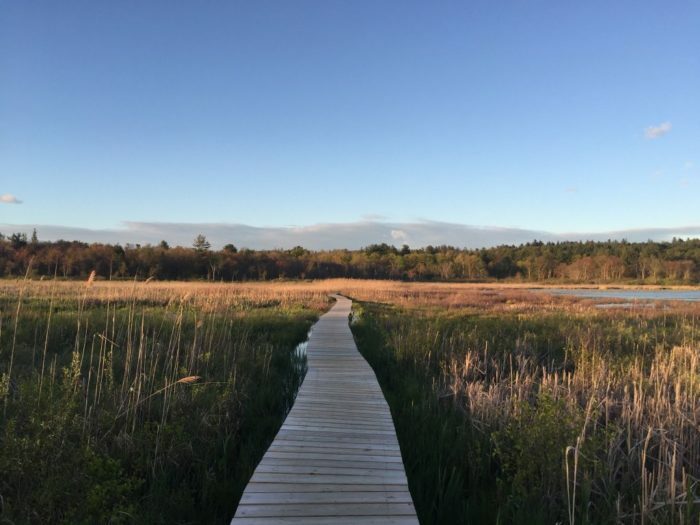 Did you know that in Connecticut you don’t necessarily have to be at the beach to take a walk down a beautiful boardwalk? 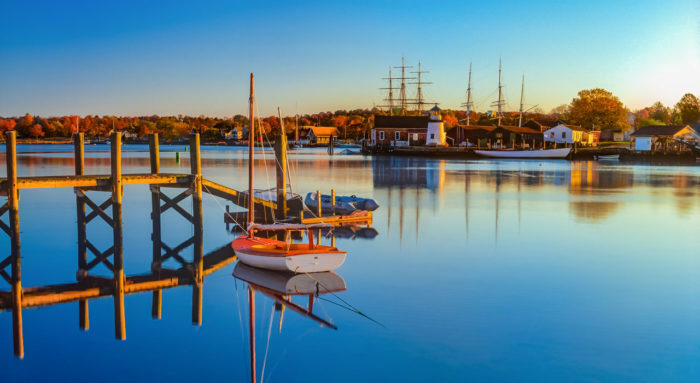 There are plenty of inland boardwalks that meander through marshlands and wind through the woods showcasing some of the Nutmeg State’s most gorgeous scenery. So, no need to get your feet muddy to explore a swamp, marsh, or forest. 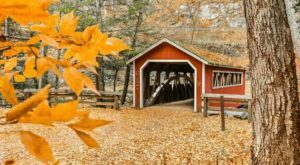 Let’s take a look at some of these stunning wooden walkways that are perfect spots for an afternoon walk. 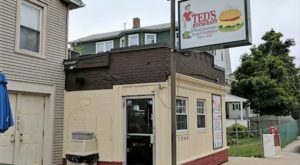 The Garden Of Ideas encompasses ten acres of marsh that you can access by boardwalk. A great diversity of plants and wildlife thrive on the property and it is a magical place to explore. There is also an outdoor sculpture garden, arboretum, and indoor art gallery on the grounds. 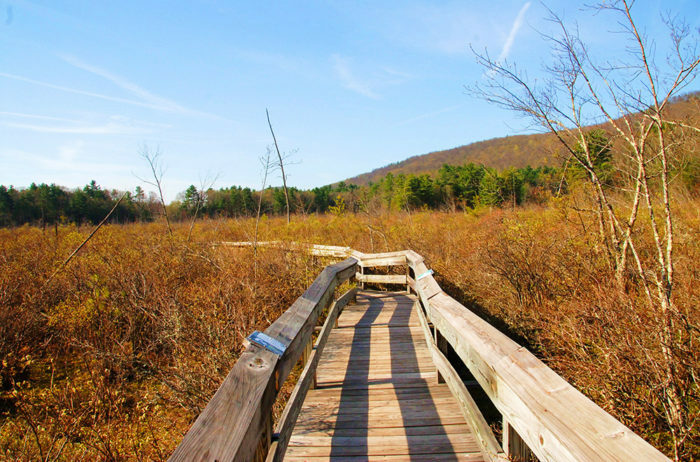 The Bog Trail at Simsbury Land Trust takes you to a an elevated boardwalk that leads into the swamp. As you take in the surroundings, the floating moss gives an other-worldly look to this unique habitat. You may even happen upon a frog or turtle along your journey. There are more than 40 miles of trails at the White Memorial Conservation Center. The most popular is the Little Pond or "Boardwalk" Trail that is an elevated 1.2 mile walkway. Panoramic river views along with sightings of waterfowl are some of the highlights of this nature trail. 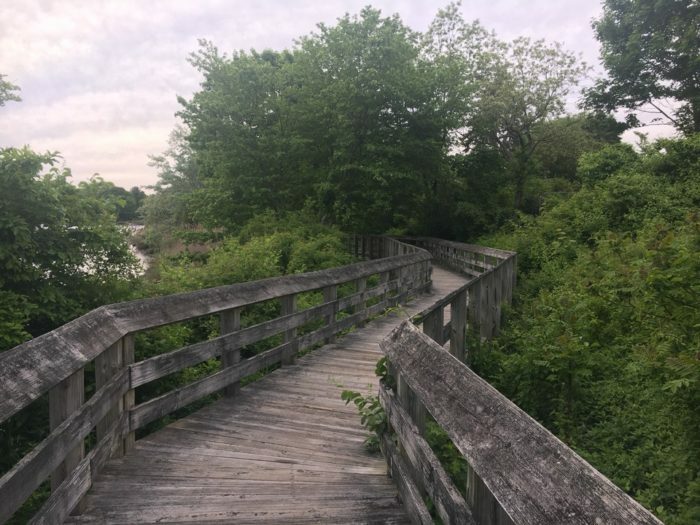 Part of the Bethel Land Trust, the Enchanted Boardwalk will transport you into a fairy tale setting of lush plants, birds, and the occasional butterfly, Although a short trail, it is truly fairy tale like and definitely lives up to its name. 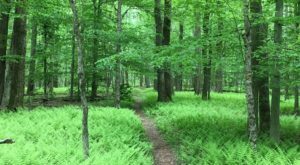 Occupying 412 acres, Chatfield Hollow State Park has much to offer its visitors. There is a boardwalk that crosses an inland swamp and the views are awe-inspiring. 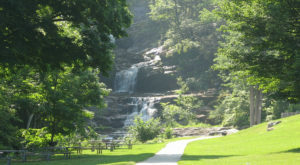 The park also has a swimming area, rock climbing, and additional hiking trails. 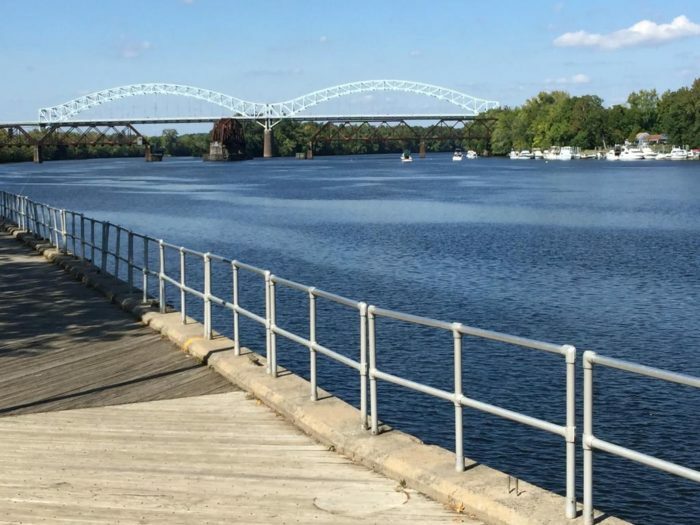 This is a short boardwalk that runs along the edge of the Connecticut River. The views of the bridge, river and surrounding area are well worth the trip. 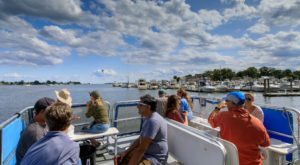 Enjoy watching the boating activity along the water during the warmer weather. 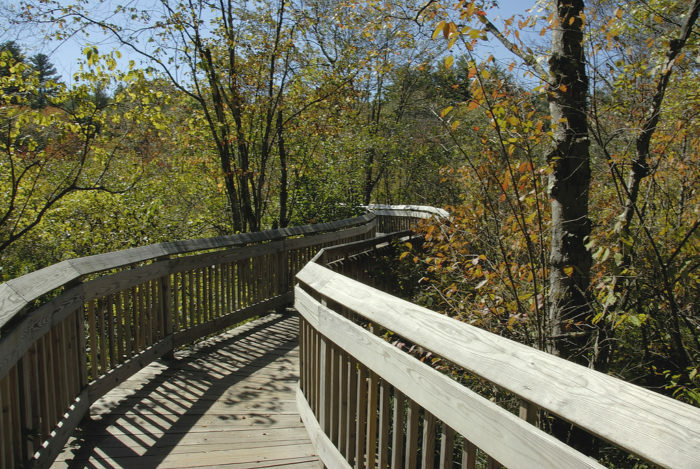 The Poquonnock River Walkway is a peacful boardwalk that runs alongside the river. Nature is at its finest in this quaint spot where you might sight swans, rabbits, songbirds, and other animals. This is one of the inland boardwalks in the state that many do not even know exists. 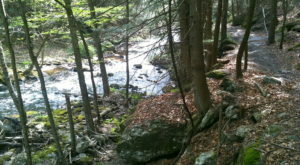 Universally accessible, The Wheels In The Woods Trail meanders alongside a brook and through the forest. Bird activity is prevalent in this area and the sounds of the tumbling water nearby is particularly soothing. 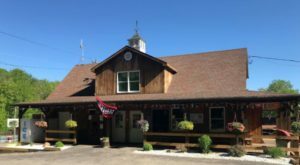 Located at the Stamford Nature Center, you can also visit the farm, nature center, otter pond, and playground while you are there. 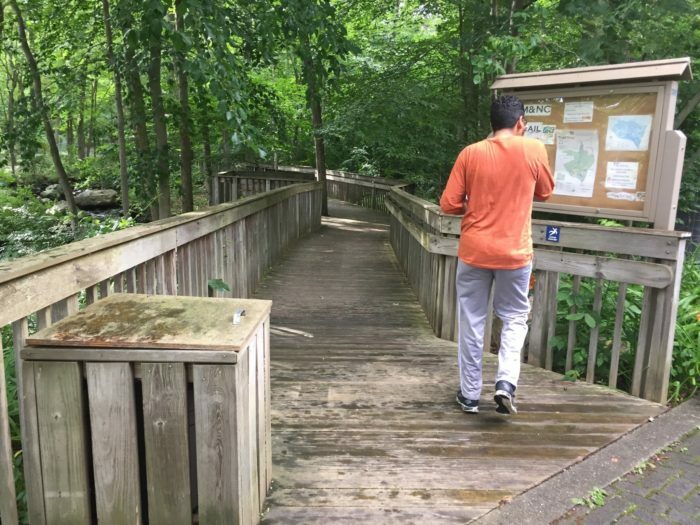 How many of these inland boardwalks have you strolled down? Which one was your favorite? 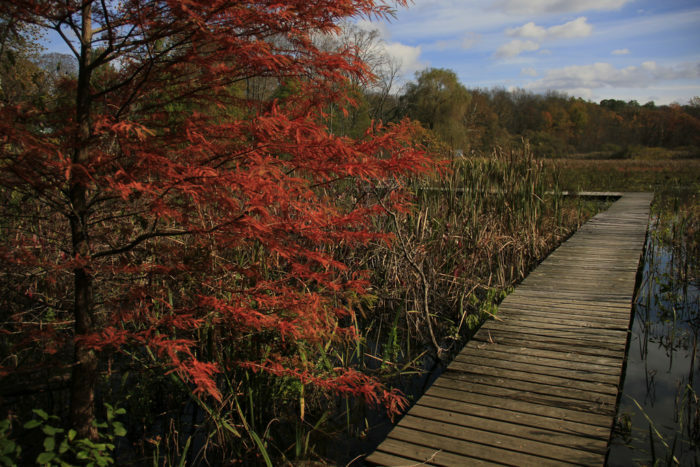 Do you know about a different inland boardwalk that we should add to this list? Let us know in the comments section below. 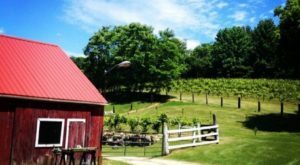 For more walks with gorgeous views in Connecticut, check out these eleven rail trails.